Teen entrepreneur Jack Uesugi is launching a scholarship program for student artists through his company a1000x, and in partnership with TeeSpring. 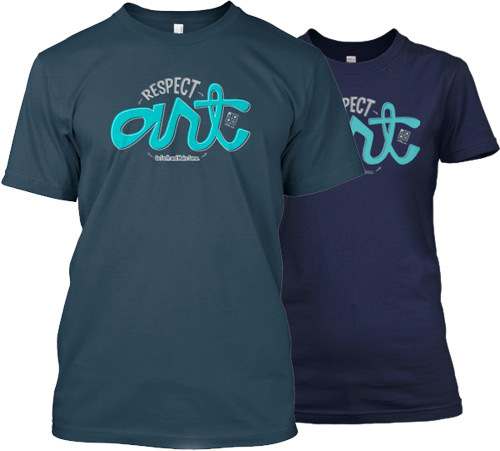 The first T-shirt design features a version of the a1000x motto: "Respect Art: Go Forth and Make Some." All profits from the shirts go toward supporting future artists. The goal is to get at least 200 pledges in 10 days or the shirts will not print. You'll only be charged if the campaign succeeds. Plus, your pledge gets you a 20% discount code for use at a1000x.com.